In 1852, the American clipper Ticonderoga landed at the mouth of Port Phillip Bay with a ship-load of British immigrants stricken with typhus. Typhus, spread by lice and fleas and common in any place and at any time there were masses of poor living in filth and hunger, had a natural home in the crowded and unsanitary conditions of an immigrant ship. Seven-hundred-ninety-five passengers had left Liverpool on the Ticonderoga and 100 of those had died on the crossing. The captain of a passing vessel sent word of the Ticonderoga’s plight to Melbourne and the Australian government responded with a supply ship and a quarantine ship. Those who could make it to shore were set up in tents and buildings in the area requisitioned by the government to serve as a hospital, where another 82, passengers and crew, died. 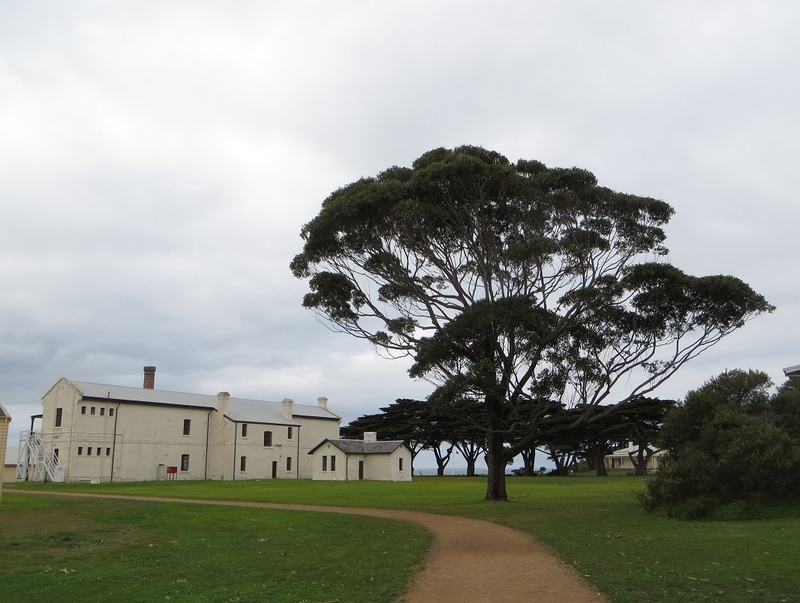 That was the start of the Quarantine Station at what is now Point Nepean National Park. A proper hospital complex was built between 1853 and 1859 and it was used until 1978. A leper colony and a tuberculosis colony also operated in the area. The last of the quarantined patients, from Serbia, went through in 1977. While the buildings are governmental and utilitarian, its emptiness and its location on the coast of the bay give it an eerie beauty. There were only a handful of other people there, and we were always alone in each building. For someone interested in the past, I’m not particularly imaginative or fanciful. 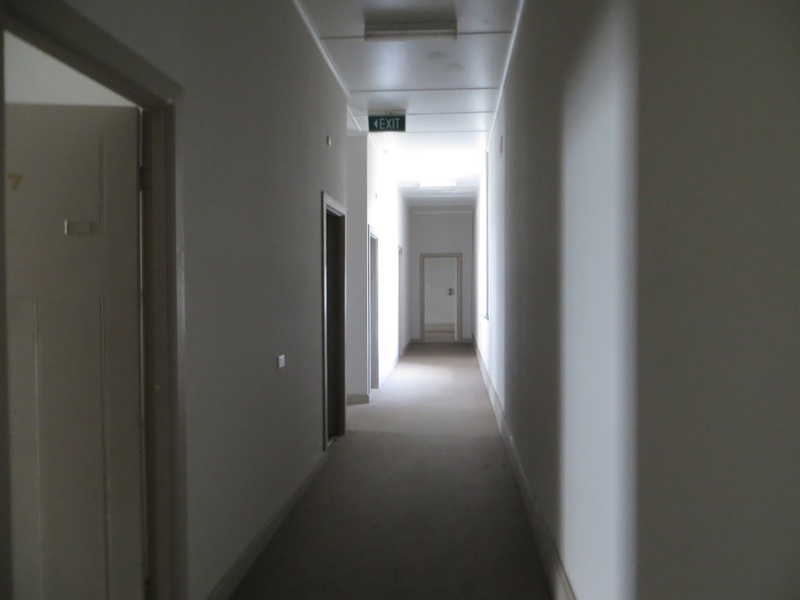 But I must say that I was creeped out enough, alone on the second floor of the empty hospital, to cut my wanderings short. There’s something about buildings with the trappings of abandoned 20th century lives that give me the willies. 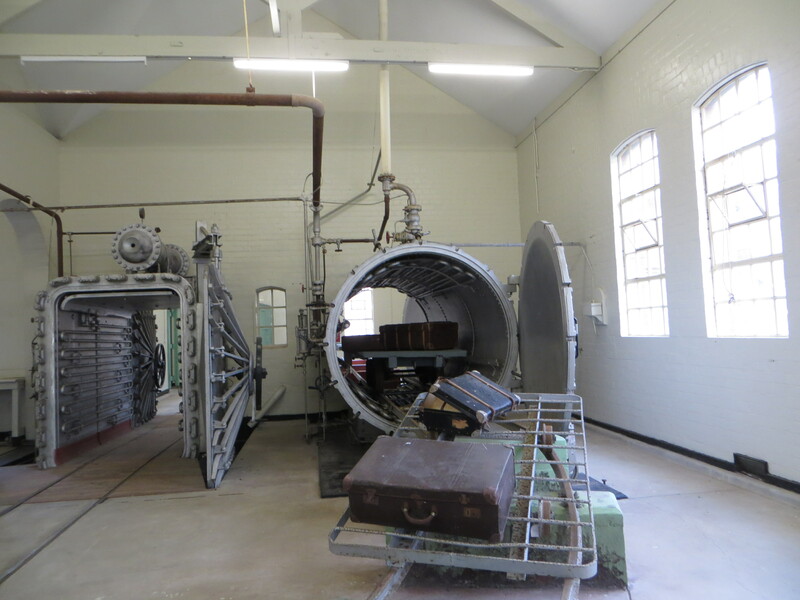 Gallery | This entry was posted in Victoria, Australia and tagged Clipper Ticonderoga, Point Nepean, Quarantine Station. Bookmark the permalink.